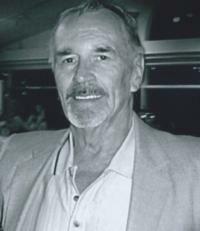 Glen Alfred Nelson passed away peacefully with his loving children by his side on Thursday May 4, 2017. His family takes great comfort in knowing he will be together once again with his best friend and wife, Millicent who predeceased him in 2013. He will be greatly missed by his children Glenn & Carole Nelson, Kevin & Deb Nelson, Denna & Daryl Gates, 7 wonderful grandchildren Derrick & Caitlyn, Lee, Amber & David, Carlene & Henry, Kirstie, Brennan & Alyse, AmyLee, and 5 great grandchildren who brought such joy Adyson, Jaxxon, Kamora Lee, Keegan and Harper. He is also survived by brothers Willard (DeeEtta), Clare (Germaine), Bobby (Yvonne), sister Patsy (Edward), sister-in-law Treva (Hugh), numerous nieces, nephews and other family members. Glen was predeceased by his parents Lee & Effie and brother Gordon. At Glen’s request cremation has taken place and a private family gathering will be held in his honour. In lieu of flowers donations may be made to the Alberta Lung Association at www.ab.lung.ca/donate or the charity of your choice. The family would like to express their gratitude to the 6E Staff at the Robbins Pavilion for their kindness, compassion and love during Glen’s final days. To send condolences, please visit www.fostermcgarvey.com.